(Independents Week, Day Four…) Here’s a well-used Checker Marathon from the early 1970s, sitting on a side street in Welland, Ontario. 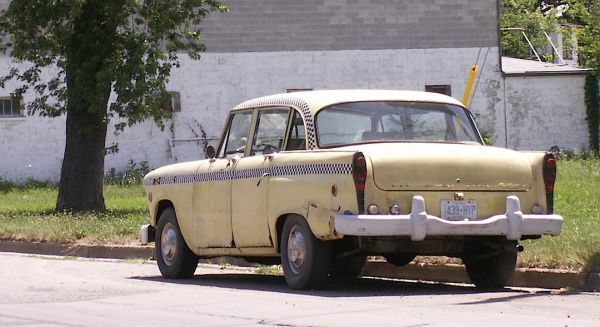 Checker had long ago given up on any restyling of its mostly-used-for-taxi sedans. When the feds mandated the five-mph bumpers for 1974, Checker merely attached a couple of battering rams fore and aft, without bothering to redesign the small cutouts in the fenders which accommodated the bumpers you see here. For all of their “unhandsomeness” though, they were very roomy and comfortable rides. Jim Corbran, RRofWNY The post RealRides Of WNY appeared first on Buffalo Cars.